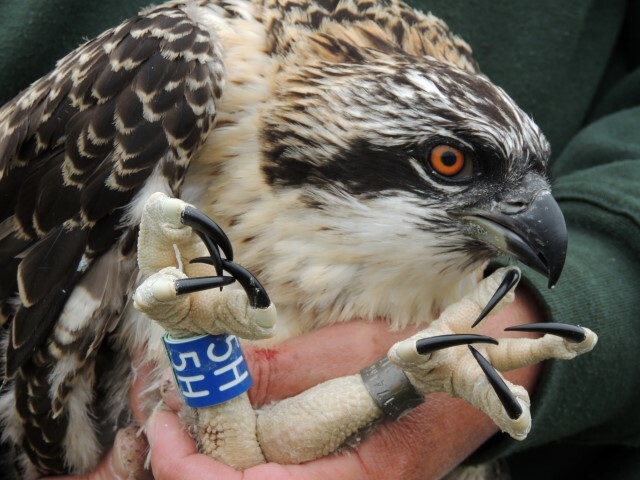 The delicate task of ringing the young ospreys of Kielder Water and Forest Park took place today by experts from the Forestry Commission. This is an important task in keeping the ospreys returning to Northumberland and the ringing was photographed up close and personal. Ringing the first three chicks allows the ecologists to examine the health of the six week old birds and make various checks and measurements. The chicks are not small - with a wingspan of about one metre - and the ringing was done with as little stress as possible to the parents and the chicks. The process of ringing provides ecologists and ornithologists with information on subjects such as migration and feeding behaviour. It is a brief and painless but key moment in the early lives of the osprey chicks; a bird which only returned to Kielder in 2009 after a greater than 200 year absence. Elisabeth Rowark Director, Kielder Water and Forest Park Development Trust said, “Ringing is a momentous moment in the lives of the these fabulous young birds since they have survived their early weeks at Kielder. We have had hundreds of visitors coming to the Osprey Watch at Leaplish Waterside Park to see and hear about the Ospreys from the expert volunteers. “The progress of the Chicks has been seen by many others by the live camera feed into Kielder Castle Café, where visitors have enjoyed the local food while watching the screen. 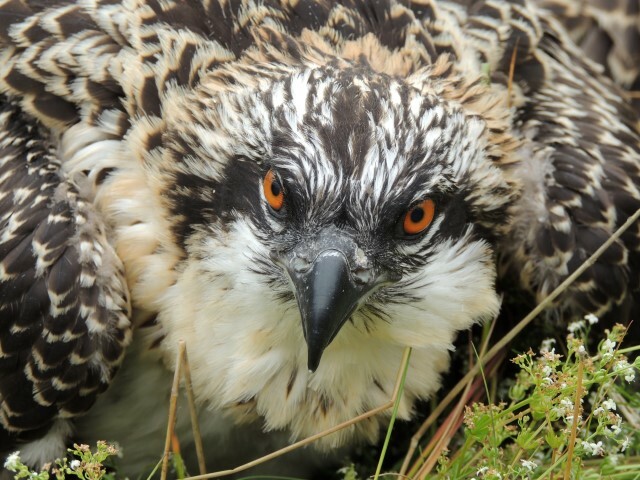 “The birds are attracted by the osprey friendly environment at Kielder Water and Forest Park created by the Forestry Commission, Northumberland Wildlife Trust and Northumbrian Water working together.